THIS is the moment fugitive Simon Corner was finally hauled before a Spanish judge to face justice over missing ex-girlfriend Lisa Brown. 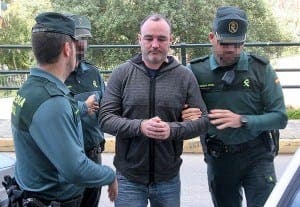 Clasped in handcuffs and flanked by Guardia Civil, the dishevelled Liverpudlian stayed silent as he was led into San Roque court this morning. The 33-year-old, whose real name was Dean Woods before he changed it, is now set to be grilled over the Scottish mother-of-one’s disappearance. Corner is expected to be remanded in custody following questioning. A second man, believed to be the unnamed Briton arrested recently by Guardia Civil over Lisa’s disappearance, arrived at the court later in the morning. The judge also took statements from a man and a woman who are believed to be neighbours of Lisa Brown. Corner has been held in Botafuegos prison in nearby Algeciras following his extradition from Copenhagen. 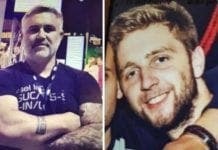 He was arrested in Denmark last month after a European Arrest Warrant was issued for him. Corner fled Spain after mother-of-one Lisa disappeared last November, with police fearing she may have been murdered. A huge manhunt was launched after 32-year-old Lisa went missing from her Guadiaro home. Corner, who abandoned his boat in Sotogrande, later claimed to be in the Far East. 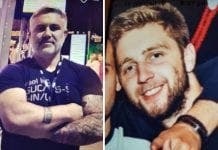 A photograph of him purporting to be at Malaga Airport was posted on social media earlier this year before he vanished once again. Lisa’s nine-year-old son lives in La Linea with her former partner, Tony Tomillero. She had been due to start a new job at a Gibraltar online betting when she disappeared.